I have ranted and raved for almost all of 2012 about Wife 101 by A’ndrea Wilson. It was by far the best book that I read this year. And, when I thought it couldn’t get any better, Husband 101 was released a few weeks ago. Both of these books are works of fiction but can be very beneficial to both sexes, whether married or single. I am so excited that the author of Wife 101 and Husband 101, Dr. A’ndrea Wilson stopped by for a little chat! Thank you so much for agreeing to do this Q&A! 1. What message do you hope to convey through Wife 101 and Husband 101? I hope to help men and women begin to perceive their relationships and marriages in a manner that is more conducive to lifetime commitments. I hope that readers will see themselves in the characters, causing them to re-evaluate their thoughts, feelings, behaviors, and roles. And if nothing else, I hope that the message received is that love can still truly conquer all if we are willing to believe in God, ourselves, and each other. Get off of Facebook! (LOL) No really, I need quiet. No music, no TV, no barking dogs outside. I need it completely quiet so that I can clearly hear the characters in my mind, telling me what to write next. 3. What is your main reason for writing: to educate, inspire, entertain, or all three? Definitely all three. Inspiring is most important to me. I would love for readers to close the book feeling a greater sense of hope and faith. Education is second in importance. I want readers to not only feel encouraged, but have the tools to move forward and make the necessary changes in their own lives. And finally, I do want readers to be entertained. Laughing, cheering, crying, screaming, and every other reaction connected with enjoying the book is certainly welcomed. 4. What has been the most surprising and upsetting part about your literary journey? Surprising? The reaction to Wife 101. 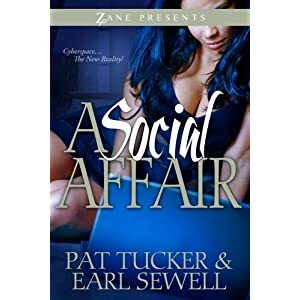 I thought it was a good book, but I had no clue that it was going to be a life changing book for my readers. That was very surprising, but also very awesome. Upsetting? I wish I would have given into my gift/calling much earlier in life. I wouldn’t have had to endure so many jobs that I loathed just to get to the one thing I will always find peace in doing. 5. When you’re not writing, what authors do you enjoy reading? What are you currently reading? 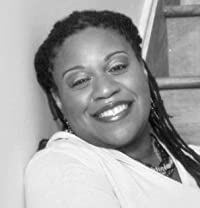 I have several favorite authors, but to name a few, JD Mason, Bernice McFadden, and Francine Rivers. Right now I am reading Sly, Slick, & Wicked by Angela Henry which is a part of the Kendra Clayton Mystery Series. 6. If you had to write your life story, what would the title be? How does that title portray your story? Crazy Faith. People have always told me that they could never take some of the risks that I’ve taken or gone some of the the places I have been. They think that I have courage. I tell them I have faith. I believe in myself and when myself isn’t enough, I believe that God is all that I am not. 7. What is a normal day like for you? I hate structure so there isn’t a “typical day” for me. Some days I take a walk in the morning to exercise and think, other days I hop on Facebook and see what I’ve missed while sleeping. I teach college courses online so I usually check on my classes daily. If it is a good day, I get some writing done, and if it is a great day, I also get to read. If it is a weekend that I have a book event (which is about 2 weekends per month), I might be traveling to my destination or connecting with the public. Outside of that, I do what everyone else does: sleep, eat, social media, pray, spend time with loved ones, etc. 8. What are three things readers might be surprised to learn about you? 9. What can your fans look forward to next? Couples 101 comes out in October 2013. The Wife 101 Series also has two more novels that are scheduled for release in 2014. I have a romance anthology titled Four Seasons of Love that comes out in April 2013. I also have begun writing Christian Thrillers under the pen name Janell. Right now, Janell has two short stories on ebook, Grave (Available Now) and Vanity (Available 1/1/13), and her first novel, Spell, comes out in June 2013. 10. Thank you again for allowing me to interview you on Read It All Book Reviews. Any last words for those who are reading this interview? I feel so honored to have Wife 101 selected as your favorite read of the year. I would like to offer my gratitude for the interview and for supporting my work. For those reading this interview, I hope that you take a chance on Wife 101 and/or Husband 101. And if you do, please make sure to reach out to me and let me know your thoughts on the book. Happy Reading! Every so often we, the reader, are lucky to come across a book where the words seem to float right off of the pages. It is rare in today’s literary world when we can visualize every scene, see the landscape, and feel the emotions of the characters involved. 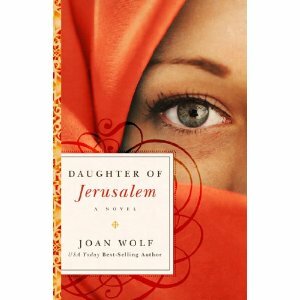 In the inspirational novel, Daughter of Jerusalem, Joan Wolf accomplishes all of the above. I have often read the Bible and wondered about people’s backstories; what is their everyday life like and what brought them to become followers of Jesus. Daughter of Jerusalem tells the fictionalized story of Mary of Magdala, better known as Mary Magdalene. We are first introduced to Mary as a young girl who is forced to leave her home (including her younger siblings, Lazarus and Martha) in Bethany because she does not get along with her stepmother. Through an arranged marriage, Mary finds herself living in the town of Sepphoris. Sepphoris is a far cry from the traditional Jewish town she has known her entire life, and it is in this town that Mary strays away from the Lord. After a series of heartbreaks, death, infidelity, and deceit Mary moves to a city near the water named Capernaum. It is here that Mary hears of a young man that goes by the name of John the Baptist. Mary is intrigued by this young man that is receiving so much attention and it begins to lead her back to her Jewish roots. When John is murdered, rumors begin about a man that is able to perform miracles and Mary cannot wait to meet him. This man is Jesus and Mary is the only one that believes him when he says he is the Son of God. Daughter of Jerusalem is a work of fiction with a cast of characters we are all familiar with and their connections could have been possible. Earlier I stated, that every scene in this book could be visualized, none proved my point more than Jesus’ crucifixion. Not since watching “The Passion of the Christ,” have I felt such strong emotions because Joan Wolf writes how Mary Magdalene and (Jesus’ mother) Mary saw this event happening. Daughter of Jerusalem beautifully shows why Mary Magdalene was held in such high regard by Jesus and why she is one of the most famous women in the Bible. Through this work of fiction, Joan Wolf shows us that no matter how far we stray from God’s teachings we can renew our faith, that He will continue to love us even if we have not always followed Him, and that He will continue to show us favor. Please note: Publisher supplied the book for a review.